Start of Working Equitation activities in application of the WAWE regulations in association with the European Lusitano Championship in France in Uzès 2010: Working Equitation Competition organized with the participation of three countries: Belgium, Portugal and France. Participation of a French team endorsed by the FFE (Fédération Française d´Equitation) in the European Working Equitation Championship 2010 in Italy. The French Team won a Bronze Medal. Bronze Medal in Cow-Trial: Herve Maurel with Uranio. 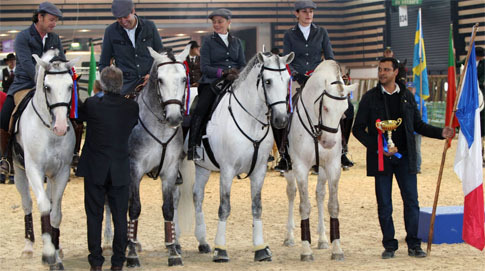 First official Working Equitation competition in Avignon, January 2011/ 20 participants. 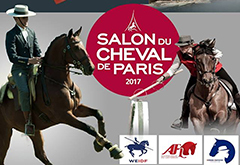 A competition held at the salon of La Roche sur Foron/ 21 riders registered. Organization of World Championships at the show EQUITALYON end of October 2011, 12 nations entered, about 50 riders attended. Many promotion operations in 2010 and 2011: Maison Laffitte 2010, Beaucaire 2010, Equitalyon 2010, La Roche sur Yon 2011, Lusinge 2011, Essen (Germany) 2011.